Getting away is always great. A huge holiday to a foreign destination is fab but in my book just an escape to somewhere different and for a few days is just as good. 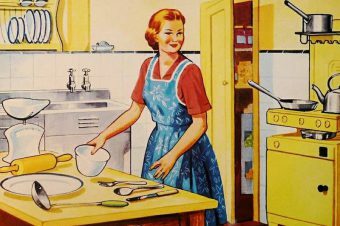 It is even better when you stay somewhere where the cooking and cleaning is all done and you can just relax. As a mummy this part is one of the best, not having to do much at all. On our way to the Hunter Valley. The Hunter Valley is a great place for a quick weekend escape, and a great place for the whole family. 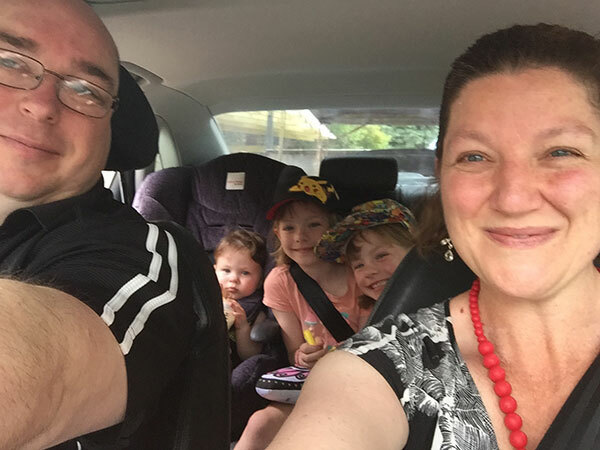 We drove to the Hunter and I thought that would not be fun with three kids but it was not as bad as I thought. The trip was broken up with a lunch stop and so that we could have a rest. One thing that was said multiple times from hubby was that we were travelling in a huge heat wave. Predicted temperatures in the Hunter were meant to get to over 40 degrees. 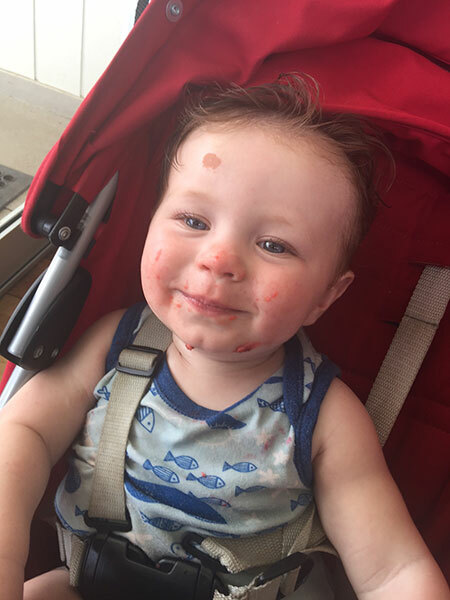 In fact, it got to 44.5 degrees on one of the days while at the Hunter… the whole family thought this was a good excuse to visit the dessert café and order a whole lot of very cold ice-cream and drinks. Mind you some don’t need an excuse to have ice cream at all. 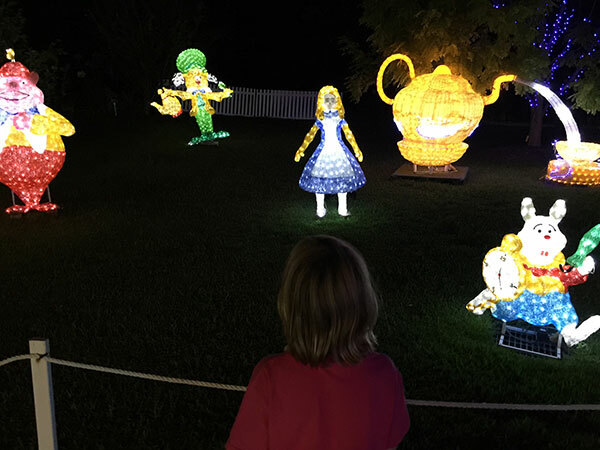 I received tickets to go to the Hunter Valley Gardens Christmas Lights Spectacular this year. Luckily this year we could go, last year I was very pregnant with Alexander (at the time we had no idea if it was a boy/girl) and thought that a trip when we had no idea when the baby would come might not be a good idea. However, the same time this year I’m not pregnant, or just had the baby and we can get about more easily with a family of three kids. 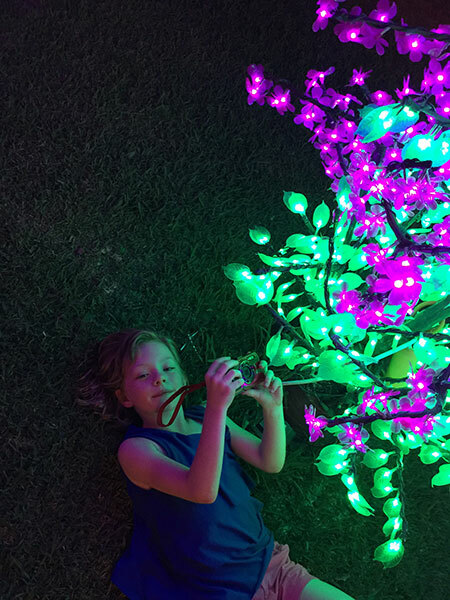 We were all looking forward to seeing the lights; on the Hunter Valley Gardens website, they have such lovely pictures of all the different gardens and videos so that you can experience a little bit before you go. A great idea to get you all super excited. What Can you See at the Christmas Lights Spectacular? The Twelve Days of Christmas. This is a sound and light display. I loved this one. You need to stay for a little bit to see all the days and enjoy the full display. Waterfall and lights – This was another one of our favourites. You can see dolphins, the waterfall and all the creatures lit up on the water. Very magical. Underwater scene – whale, jellyfish, fish, and shark and much more. 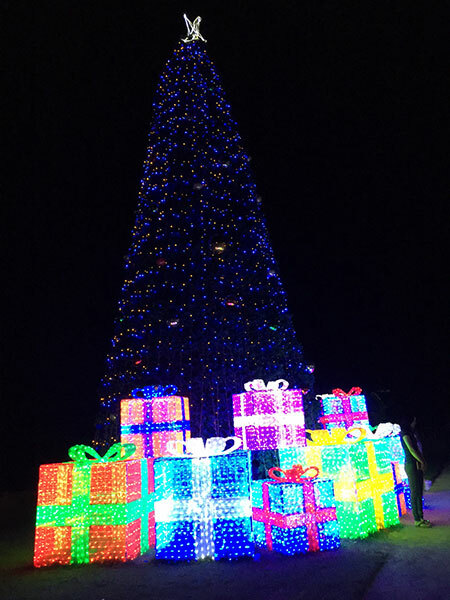 Mega Trees – Trees had lights displayed in them and some were moving and very mesmerizing. 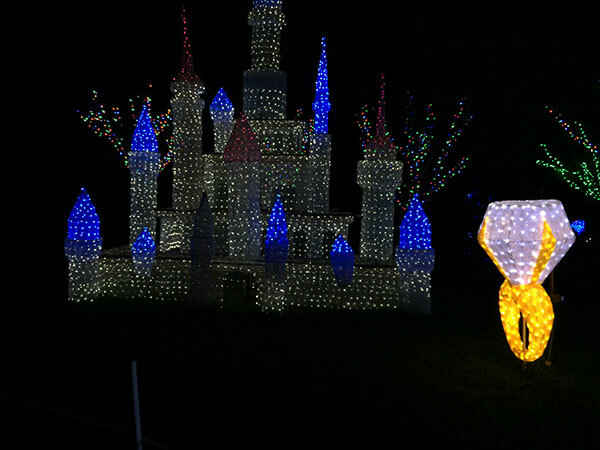 And so much more….Trust me you will be amazed at all the lights, work and detail that has gone into this wonderful event. Tokens for individual rides in the Fun Zone are $6 each, unlimited rides* wristbands are $15 pp. 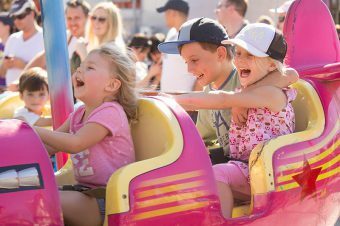 “This awesome Fun Zone includes: unlimited play on the super fun Jumping Castles, Obstacle Courses, Arcade Alley and the massive, colourful HVG Super Slide (weather permitting). 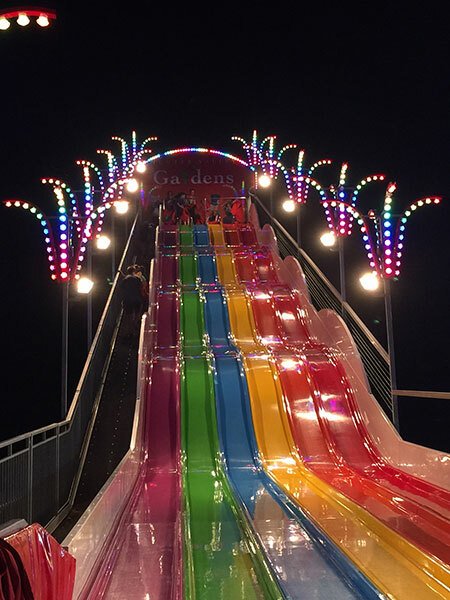 Please note that the Fun Zone requires an additional entry fee alongside Christmas Lights entry).” Fun Zone is open during the Christmas Lights Spectacular from 5.30pm – 9.45 pm daily. 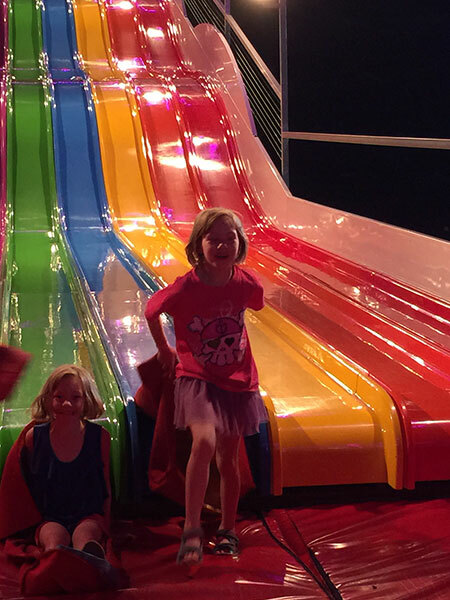 The girls loved the huge mega slide and the obstacle courses and the jumping castles. The Fun Zone is located near the food and beverage area. While the kids play you can relax with a drink and they can run wild for a while. The girls loved the slide and had about a million goes, I lost count. My little photographer. She loved taking pictures with her new camera she got for Christmas. This girl was amazed at the wonderful colours of the lights. Alice In Wonderland. She is at the Mad Hatter’s Tea Party. Look Tinkerbell is behind the girls…. shhhhh they have no idea! Cinderella’s castle and her huge wedding ring. Now where do I find a ring like this, and a real one! I loved these pretty flowers. This was a huge tree and so pretty with all the different coloured presents. 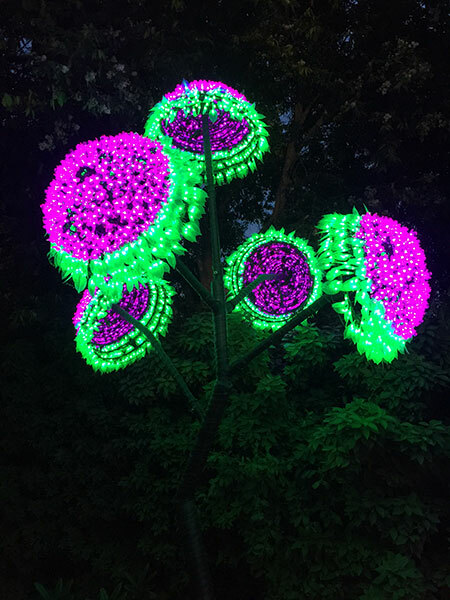 You can also download the FAQ to the Christmas Lights Spectacular this will help you plan your time at the gardens. So what did we do while we were at the Hunter Valley? 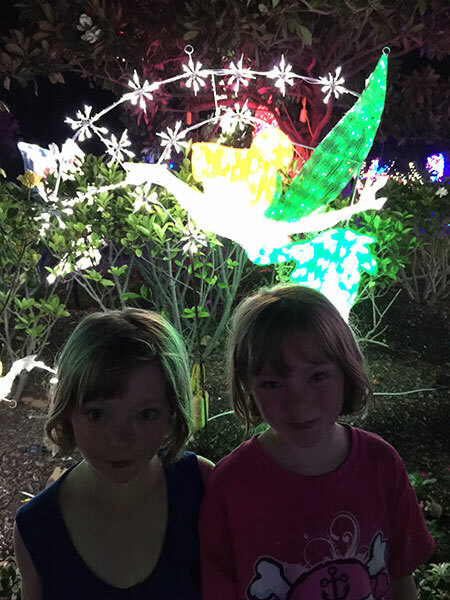 We had fun at the Hunter Valley Gardens Christmas Lights Spectacular. 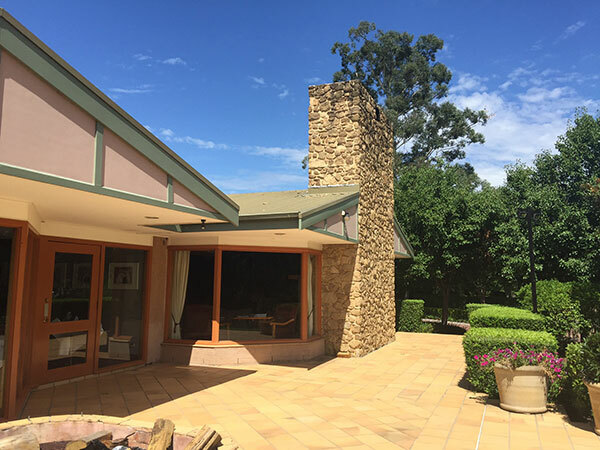 Did you know that the Hunter Valley gardens has over 60 acres of gardens to look at. No wonder we were all tired when we got back to the hotel, well we were exhausted after we got back to the car. 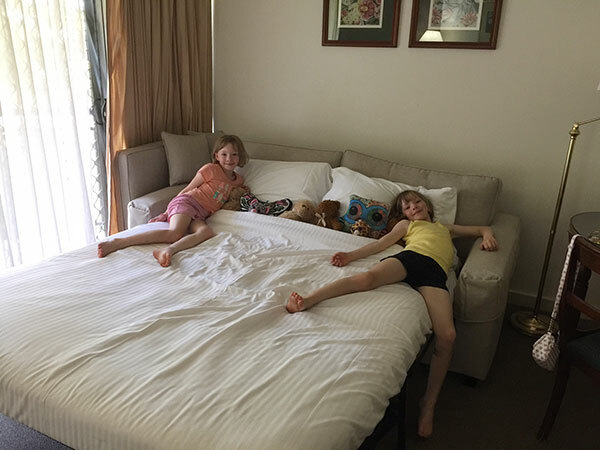 Enjoyed relaxing at our hotel The Mecure at the Hunter Valley – this was a great place to stay due to the fact that it was right next to the Hunter Valley Gardens. Tasted some locally brewed beer from Potters Brewery. Experienced some lovely wines from Hungerford Hill Winery and Peacock Hill Winery. We all cooled down in the pool at the Mecure due to very hot days. The pool was a huge hit with the kids and even Alexander finally felt comfortable enough to get fully into the pool for the first time. He had only ever wanted to put his feet into a pool before. Relaxed! Did nothing for a while. Where did we stay and why? 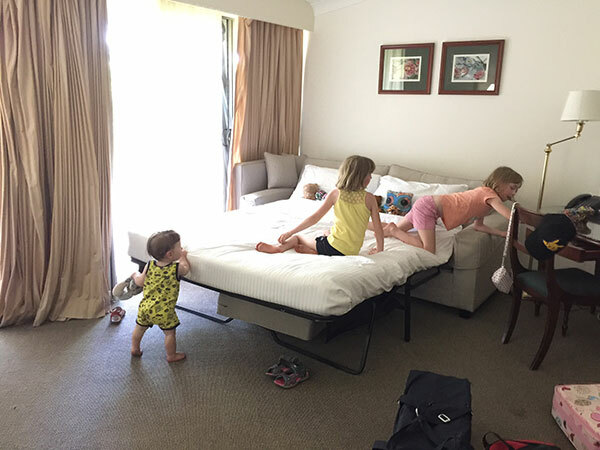 We chose to stay at the Mecure at the Hunter Valley Gardens. This was for two reasons, firstly that we would be really close to the lights and secondly that it looked like a lovely family friendly place to stay. First I looked online to see what types of rooms they had on offer and we were lucky enough to book a family room. Our stay was with the lead up to New Year’s Eve and therefore many places were booked out as were many restaurants. The people at the Mecure were so helpful, friendly and nothing was an issue. It was very family friendly and the room was great for kids and adults. We were in a huge room for just everyone and that was fine for us. Maybe next time when we have more time to book we will get a bigger room or say two rooms, one for the kids and one for us. Breakfast at the Mecure was yummy and filled us up, the kids were happy that they could make their own pancakes and they had weet-bix as well. As per usual our little boy made a mess but we did our best to tidy up so that we did not leave a horrible disaster for the lovely staff. Make sure to get breakfast with your room package as it really made it so much easier. Having a cold drink in 41 degree heat. It was much needed. We were waiting for our dinner at Harrigan’s Irish Pub. After he had some strawberries Harrigan’s Irish Pub. Jumping castle fun at Harrigan’s Irish Pub. 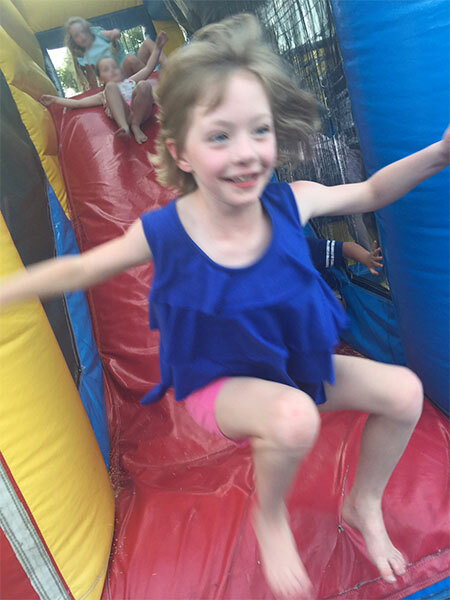 The kids loved the jumping castle at Harrigan’s Irish Pub. NOTE: If you book make sure to organise dinner reservations. I did not think of this until we were at our hotel room. 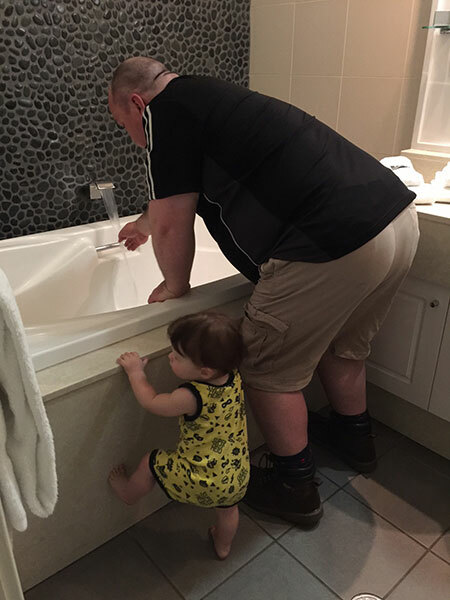 I normally do this but it did not happen until we were at the hotel. It must have been forgotten about in the rush to pack and leave the house. 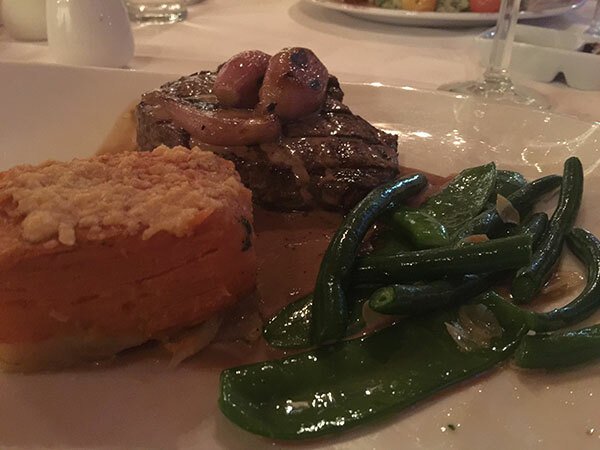 We managed to get a booking at the Mecure for dinner Friday night, and the Thursday night we ate at local pub down the road at Harrigan’s Irish Pub. The kids settled in well in our hotel room. All three kids loved the room, and so did we. Hubby had to cool down with a bath while the kids and I went off to the pool. The buildings and grounds at the Mecure are just amazing. So looked after. 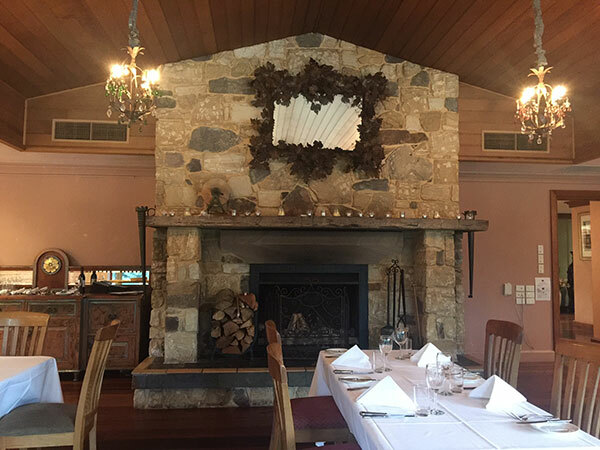 This is where we ate dinner at the Mecure at the Hunter Valley. The area where we ate dinner had a massive fireplace. Dinner was good tasty food that hit the spot. 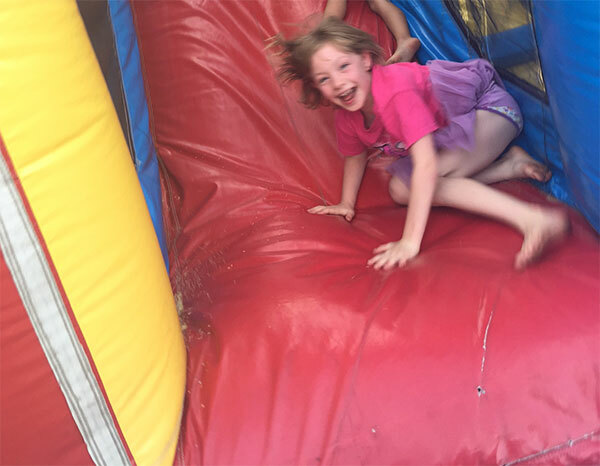 The kids had fun at the jumping castle at Harrigan’s before and after their food and this allowed them to run off some energy that they needed to do due to our big drive to the Hunter Valley. 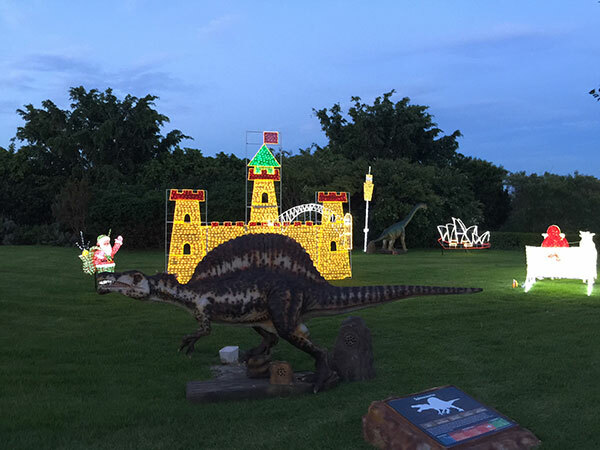 Our plan was to eat something before we all went off to see the Lights at the Hunter Valley Gardens. I’m glad we did that as there is lots to see although if you did not manage to get dinner before going to the lights at the Hunter Valley Gardens there are some food stalls that you can purchase some food and sit back and relax while the kids have fun at the Fun Zone while you can relax with a refreshing drink. Dining on Friday night at the Mecure was such a treat. 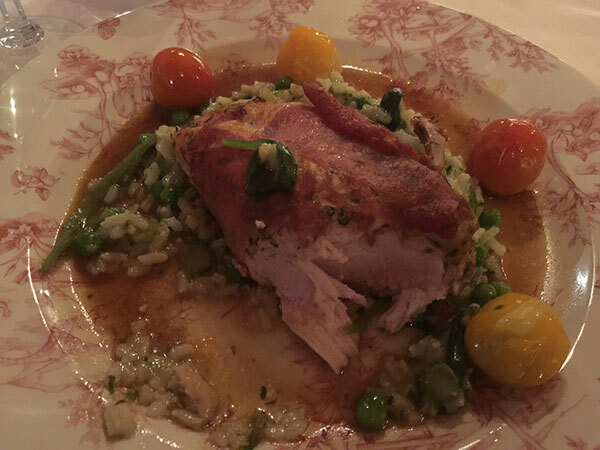 The meal was divine and so tasty. The restaurant is called éléments and the Executive Chef Jean Marc Pollet fuses French cuisine with Australian produce. The soup for our starter was so tasty and our main meal was excellent as well. The kids loved their meals too. 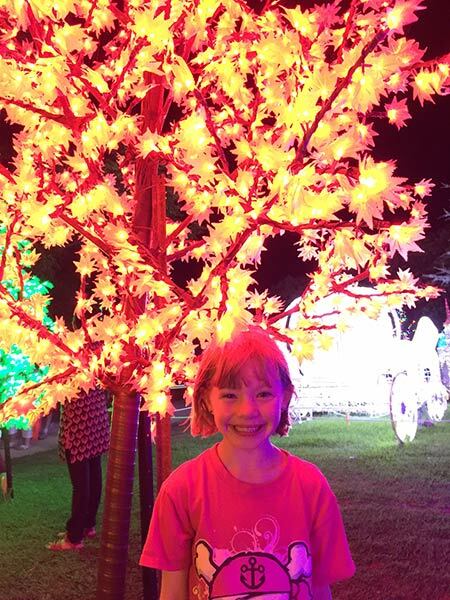 A HUGE thank you to The Hunter Valley Gardens for the tickets to the wonderful lights. We all had a wonderful time. Also a big shout out to the lovely people at the Mecure at the Hunter Valley for booking us in with not much warning and giving us a room that we could all fit into for our two night stay. 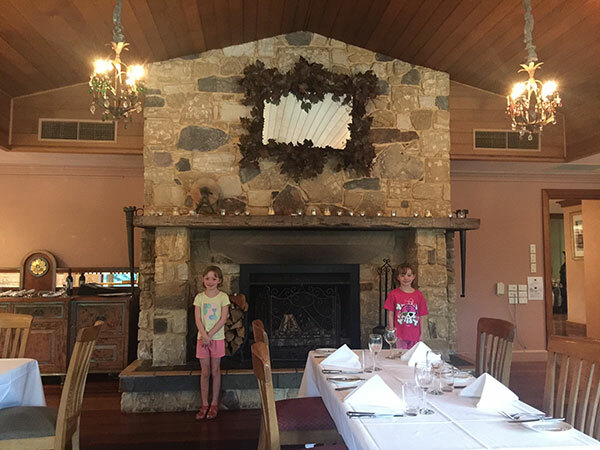 We loved our time at the Hunter and are keen to come back soon. 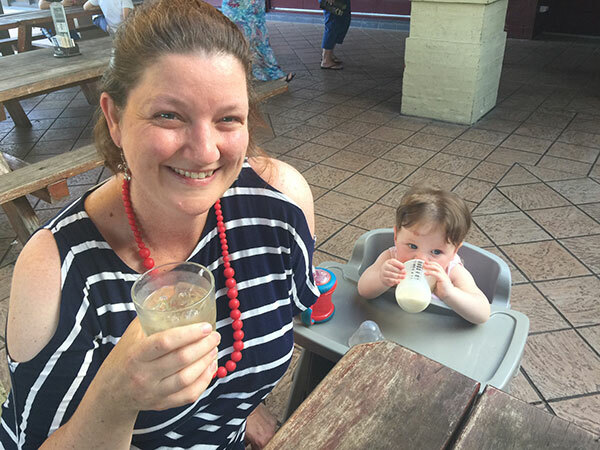 Make sure you check out all the things you can do in the Hunter Valley and keep it for a nice escape for just you and hubby or you and the wife, or a family getaway with the kids. The Visit NSW website has a great list of places to visit, wineries, place to stay, drives to do and all things to keep everyone entertained.